The process of learning and succeeding in your academic goals is all about embracing study as part of your daily life. That is where an effective and balanced study plan comes in to give you a (big) helping hand. When it comes to an effective learning journey, a study plan is a must. However, it may be a bit daunting to set your own You sit down, look at your schedule and you wonder if you can really fit more stuff in there. Or you wonder if you can really keep up with it. Take a deep breath. You can do this! That is why I am here to guide you through the ins and outs so that you can make the best out of your own study plan. Why do I need a study plan? How can it help me? A study plan is, in its core, a simple method of scheduling. First, you identify your learning targets. Then, you set aside time for your own study sessions. Not too complicated, right? The great thing about a study schedule is that it allows you to completely focus on one topic at a time and review what you have learned so far. That is key to commit content to long-term memory and boost your test performance. Keep in mind that everyone is different. We all have different goals, different study styles, different perspectives. While you may like studying at night and dealing with subjects you find easier first, your friend may only feel comfortable studying in the morning, focusing on the hardest topics before tackling uncomplicated ones. Being so, be yourself when organizing your study sessions. Discover when it’s the best time of the day for you and assign it to the activities and subjects that ask for more of your concentration. Or if there’s a topic that requires more time than others, find a day when you have fewer social commitments and use it to hold more study sessions. Your schedule should reflect your needs, personality and bring out the best in you. On top of that, it will also stop you from cramming. Trying to process too much information in too little time, not sleeping well and filling yourself with coffee will make you exhausted and anxious, which results in lack of concentration and inability to retain information. Regardless of what you are studying or what test you are aiming for, a study plan can help you become more productive, organized and self-disciplined. By properly dedicating a moment of your day to studying, you will be able to absorb more content. That is how you set yourself as the only person responsible for your own learning outcomes. How do I determine how much time I need to prepare for an exam? The standard answer is that you should start preparing two weeks to a month before your test. 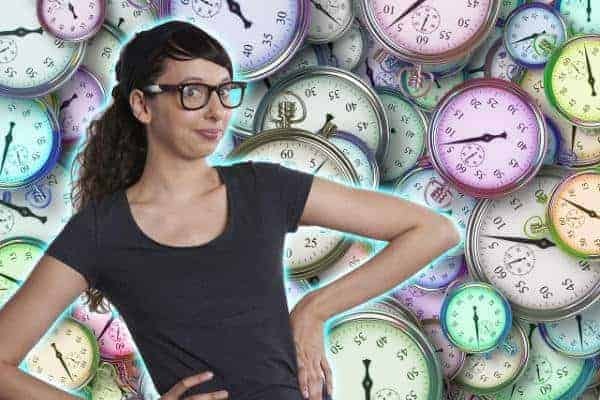 However, the actual amount of time you need may vary depending on what exam you are taking, how easy or hard you find its content and, of course, if you have been sticking to your study schedule. What you should do, then, isn’t focus on a specific time frame that applies for any exam you will ever take. You need to come up with a comprehensive plan by working back from your test date. Sit down with a blank calendar (a paper or a digital one, whatever makes you more comfortable!) and your syllabi or course materials. Find out how extensively you need to study, how many topics you have to cover, what your reading materials are, what needs to be revised more times. With all that information in your hands, think about what steps you need to take in order to work through all that content before your deadline and put together a timetable that organizes it into your daily schedule. Set more time for subjects that are harder for you and make sure you have a study session every day. Throughout the year, your study plan may not include daily sessions. Life gets busy, so your schedule may only allow you to have sessions two or three times a week. When preparing for an exam, however, it is best to commit yourself daily. Repetition and constant exposure to the subject will get you in shape to face the D-day. Remember that an effective and balanced study plan will keep you constantly prepared with the content you need always fresh in your mind. How do I create my own study plan, then? You have been giving it your best so far. But now you see that a study plan will help you do even better. Then, collect all your notes, reading materials, guides, quizzes. Grab your journal and a white sheet of paper, planner or calendar. Also, have some post-its or flashcards around. Now that you have all your material in hands, sit at your desk. Let’s create your own study plan! Before getting to any actual schedule, write down what you want to accomplish with that study plan. Why are you studying? Are you taking a test? Do you want to raise your GPA? Or do you want to become fluent in a certain language? What that means is, each study plan you create will have its own characteristics and format, depending on your weekly or monthly goal. You need to consider what you want to get out of each study session. Regardless of week or month, before your first schedule or when starting to study something, determine your long-term goals. Then, break down your goals into actionable steps and set deadlines and milestones for them. When you keep the big picture in mind while making a bit of progress at a time, you will feel much more motivated. Take this moment to also make a list of your reading goals (“what do I need to read in order to reach my objective?”) and the skills you want to acquire in the process. Remember that studying isn’t just about the final destination. Your learning journey is an experience that will influence your life in many different ways. There’s something else you need to think about: your study skills. What are the tools you need to effectively study this or that subject? How can you obtain them? Figure out what each topic requires of you. Moreover, keep in mind your learning style. Remember when I talked about finding the best time of the day for you and that everyone has different study habits? Now is the moment to bring all that to the very front of your mind, because you’ll need to take that into consideration when organizing your study sessions. Use a journal, your phone or flash cards to write these thoughts down. It’s good to have a visual reminder of those as you start the next part. This is probably the simplest step: Just note your daily activities: work, social engagements, school, home. That includes time with family, eating and sleeping as well. Organize this data into a timetable. That is all. This timetable will be your guide. Now that you know how you currently spend your time, you can look for moments in which you can fit your study sessions. You can also find arrangements that aren’t fixed. Shuffle your plans around a bit so that you can have more frequent and effective sessions. First of all, with all your material in front of you, break all relevant content into reasonable, manageable blocks. Each block is going to be the topic of a study session. Good. You know when you can hold your sessions and what you need to study. Now, it is all about fitting the pieces together like a jigsaw puzzle into your planner or calendar. Make sure to spread your sessions throughout the day and organize small breaks. It is of utmost importance to study in intervals. This is not me saying it. Research has shown that regular moments of diversion from a task greatly improve your focus. So much better than cramming, you should study in 30-minute sessions and take a 5-10 minute break before continuing. Keep in mind that those 10 minutes are for your rest. Don’t think about the exam, or the paper, or that quiz. Stretch. Go for a short walk. Have some tea. Both your brain and body will benefit from it. Sitting for too long isn’t good for your health either, so get up and get your blood flowing! Those breaks will sharpen your focus and boost your productivity. Not to mention that several short sessions (opposed to few long ones) will make committing more information to your long-term memory much easier. Also, variety is key. Studying the same line of topics in the same way for too long will tire you out. So, vary the subjects and the way you study them a little bit as you start a new 30-minute session. Don’t just write, “Study Session at 4pm.” Write down what and how you will study, as well as any materials and notes you will need. That is how you can keep everything on track: you are making sure you are covering all the content and going through all the reading materials you have to. Take this moment to set up a revision timetable as well. An effective study plan has to include a moment when you can sum up everything you have seen so far. Mark a short block of time at the end of each day or every other day to review and revise. Use that time to rewrite your notes into shorter and simpler versions of them. You will see how this process will help your understanding and memory retention. How should a template look like? A planner or a calendar will do just fine. If you are comfortable with a journal, that also works. It is important to have your schedule written down, because that visual has a psychological effect on you. When you see it, you will automatically think that they are engagements you must remember and attend. Since the visual is so important, you can come up with your own format, one that you know will catch your eye. Use different colors, add post-its to it. Feel free to be creative, but a simple one will not be any less effective. If you don’t feel like putting one together yourself, there are many printable planners online. Or maybe you don’t like paper that much. And that is okay! Technology can help a lot. There are many study planner apps out there. For iOS devices only, you can find My Study Planner, a free app that includes calendars, timers, and records of your progress, and the paid task management OmniFocus, whose goal is to register your thoughts and ideas into your to-do lists and you can use it to add projects, planners and reviews. The great MyStudyLife.comis a free app for iOS, Android, Windows and web that helps you keep up with all your tasks and exams. It features a simple and colorful interface with schedules, timetables, and reminders. For iOS, Android and web, the Jorte Calendar is an easy-to-use, paid organizer app. It manages your whole schedule and events so you may use it for more than just study. Todait is available for iOS and Android, free to download but with in-app purchases. It is a very effective study planner, full of features that track your progress and help you focus. Last but not least, you can also check iStudiezPro, a mature planner with a very clean interface that features schedules, alarms, reminders and even integration with Google Calendar. It is available for iOS, Android and Windows and it is free with in-app purchase options. Also, you can combine them with PDF Expert for reading and Anki or Studybluefor study cards. What if I can’t keep up with my study plan? Don’t worry! You surely aren’t the first to struggle to keep up with a study schedule. What really matters is your determination to reach your goals and stick to your study plan. So, if you find yourself losing control of your agenda, sit down again and reevaluate. Re-plan your schedule to get things back on track. Something else that can happen is, running out of time. Even with a planner, a topic or a reading material may fall through the cracks of a busy daily life. Is that happening to you? Then, prioritize. What is it that you cannot let pass — no matter what? At the end of the week or month, make a self-evaluation. What have you accomplished so far? Are you meeting your expectations? Did you reach — or are you making progress towards — your target? See what you are lacking and make any necessary changes. In the end, your commitment is everything. The more you stick to your study plan, the more in sync with your learning process you will be and the more successful you will become. Reward yourself when you reach a target. And don’t forget to be very realistic. Just creating a schedule isn’t enough. You need a balanced, down-to-Earth study plan. So, be honest and only make promises you can keep. Don’t fit a session into an hour that you know won’t be available. The stress of trying to juggle everything will also harm the quality of your studies and affect your concentration. Don’t overestimate either. On that free Saturday, don’t block off eight hours for study. That isn’t effective in the least. Plans like that will only discourage you. So, schedule time for everything: work and home, study and social life. That balanced lifestyle will encourage you to keep going and follow through your schedule, giving you a more receptive mindset that will ensure motivation and better focus. Study sessions aren’t just about reading and jotting down notes. There is nothing like practice tests. Take them as much as possible so that you become more familiar with the format of an exam and acquire the time management skills you need to ace them. So, make sure to add practice-testing sessions to your study schedule! Sometimes, we feel the need to talk and discuss a subject. If you know someone who is studying the same subjects or taking the same exams as you, organize a day when you can meet and have a study session together. Study partners can help keep each other in check and motivated to stay on task. Just twenty minutes of exercise can boost your memory and mood. Science proves it. You may go to the gym, jog before work or dance around the break room. Any exercise will improve your energy and concentration levels so that you enjoy much more productive study sessions. 4. Vary your study spots! For a little change, have your session in different places every now and them. Go to the library, a café or even the park. It doesn’t matter where you go, as long as you find a spot where you can focus and feel comfortable studying or reading. During a study session, don’t think about anything else. Forget your phone or TV. If you must use the computer, try turning off the wi-fi or keep a reminder around that you should not look into websites that don’t contribute to your study. It is like I said, it doesn’t matter where or how — what matters is your concentration. Finally, do your best in your own way! Your triumph comes from your determination, so create a study plan that fits your lifestyle, your needs and, most importantly, who you are. If you like to be alone, do it. Do you enjoy studying early in the morning? If you like to write everything down, do it. Would you rather draw? Go for it! The takeaway is, a study plan will organize and guide your journey. Keep yourself motivated and stick to your schedule. I am sure you will get there! How many hours a day should you study? If you do nothing else but study you should treat every day like a normal workday, so 8+ hours of study with breaks is a good place to start. In general, create a usual schedule and determine the time you have available for study every day (and then use that time to learn something new). Your free time can’t be spent any better. How many subjects a day should you study? There is no wrong or right number. Important is that you include repetition sections from previous study days. If you have a huge topic to tackle it is a good idea to break it down and even learn a couple of small items or revisions in between to keep things diversified. Does cramming before an exam really work?